How Sai appeared in my life! Jai Sai Ram everyone. Thanks to the Admin for providing platform for sharing baba’s experience and maintaining such a devotional and divine network. Reading these blogs makes my day. Baba is still alive and holding our hands. I would like to share one such experience of mine here. When I went to my college hostel, I really do not know what happened; I had nightmares while I went to sleep. It was somewhere like nightmares of coffins, bad time of me, my family. I started crying. And I found that whenever I went to sleep in my room, I felt in the mid night as some bad soul is also there, which is not allowing me to sleep. I felt something is dragging me; some bad soul is irritating me while I sleep. I got very much scared. I consulted this thing with my paying guest owner aunty. That time, I was never aware about Sai Baba. I have never ever prayed to Him, never went to baba’s temple. 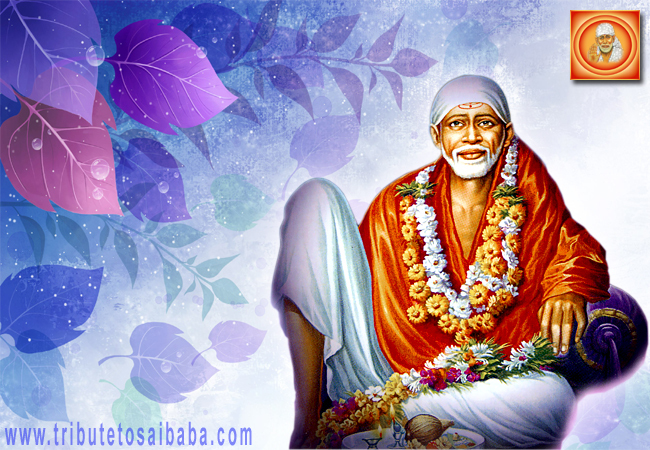 My aunt said that daily she goes to Sai temple, I can go with her if I want to. I clearly remember the first time when I visited Sai temple with her. I felt so relaxed when I entered into the temple. I can’t describe my feeling that time. I purchased a book (Sai Kasht Nivaran Mantra) from there, so that I won’t had any nightmares and to avoid many tensions in my life. I came back home, and I read that book around 5 to 11 times, I crammed that. When I went to sleep I read that suddenly I found that from the same day there was no nightmares, no bad soul troubled me when I went to sleep. I felt so relaxed. I was so happy that Baba helped me and saved my life. Otherwise I would have been mad or died. Afterwards I started doing Baba’s 9 Thursday fasting. And I gave the book to my friends too in my college. It was a miracle which Baba did with me. Baba is great. He gave me new life. Now I am not going to leave him. Thanks a lot Baba. Please be with me always. Wonderful platform to start my day. Jai Sai Nath ! Very nice experience . It is faith booster. Thanks a lot tributetosaibaba.org team.